Using the highest quality premium wood stains on all of our hardwood floor refinishing projects. Choosing a stain color when refinishing your hardwood floors is an important aesthetic decision. 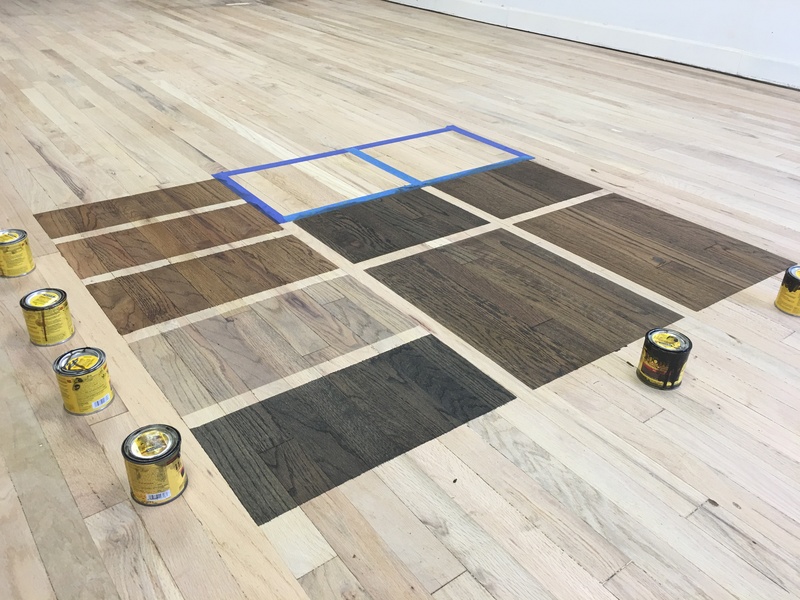 We prefer to help our customers by walking through the many wood stain color options by presenting our in-person complimentary stain consultation – Helping you get a better visual of what your newly refinished hardwood floors will look like. We conduct stain consultations on the first day of service. Color achieved in only one coat… even on maple. High color coverage for optimum color intensity. Commercial grade for professional results. We have the ability to mix any of these colors to create a custom stain color for your floors. No additional custom color fees.